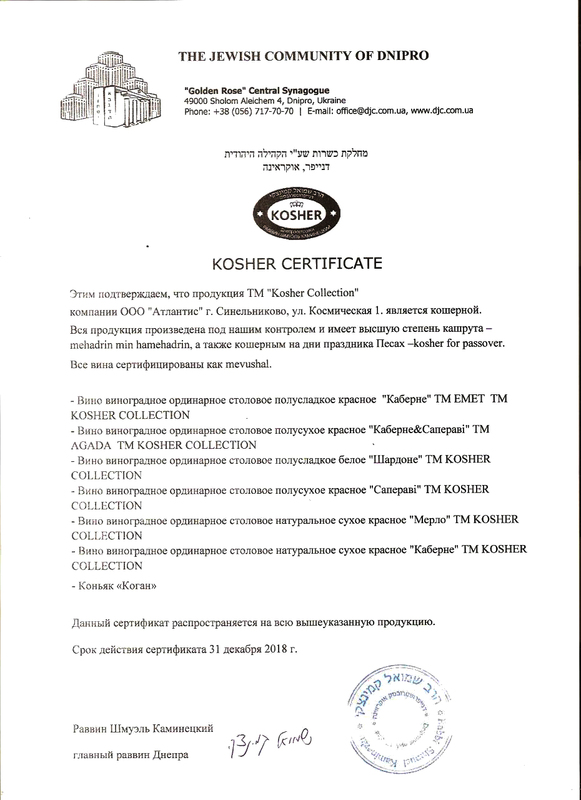 Kogan cognac is a real noble drink made according to all the rules of kashrut. A limited collection of kosher Kogan cognacs, developed according to an exclusive technology, and a unique serial number ensures that your bottle is the only one of its kind. For seven generations, the Kogan family studied Jewish traditions and kashrut rules. Winemaker put all the strength of spirit and craving for freedom into this cognac, which is so inherent in the Jewish people. That is why Kogan will be able to surprise both demanding connoisseurs and people who first try a kosher cognac. A unique Kogan cognac is distinguished by its soft taste and noble aroma. The cognac has depth and saturation, which are displayed in a brilliant, rich golden-yellow colour. Vanilla notes prevail over the hues of dried rose petals and apricot jam, which are supported by the tones of walnuts and cinnamon. A full-bodied taste with unrivalled balance. The shades that are felt in the aroma unfold gradually, step by step, in the taste of the drink. A very long aftertaste, a full-bodied cognac and a strong aroma of cigars are combined with shades of chocolate and dried orange peel.